Some people will call me a cruel husband for the story that I’m about to tell. You can call me cruel, just don’t call the police about domestic violence. Friday night, I moved my wife from a Mac laptop to a Sony VAIO running Windows 7 Release Candidate. She didn’t switch willingly, although she is adjusting. There is a backstory. My father-in-law has an iMac G5 and would like to video call his son, who doesn’t own a computer. Being a good dad, Bob wanted to buy his son a computer. I first proposed a Windows laptop, which I could buy within my father-in-law’s budget. But he wanted a Mac, presuming there would be fewer problems making video calls Mac to Mac. Given the limited extent of both man’s computer experience, the idea made loads of sense. Problem: Apple doesn’t sell a Mac laptop within my father-in-law’s budget. So, quite unexpectedly, I found myself living a Microsoft “Laptop Hunters” commercial. “This is Bob. He told us that he wanted a laptop that packs a Webcam and easily can video conference with a Mac—for under 700.” One more thing: The laptop must be a Mac. Yeah, right. Not in that price range. Apple’s lowest-cost laptop is the white MacBook, at $999. I waited through two holidays—Mother’s Day and Memorial Day—for a great Mac laptop sale. I couldn’t find one, even with Father’s Day approaching. I searched for refurbished models, too. No fraking luck. Apple’s price to join the Mac Club is a grand, baby. Pay up or be square. Apple’s ridiculously high pricing required some creative thinking and sacrifice. My wife has long used an aging, but capable, MacBook. Perhaps she would sacrifice her baby for dad and bro. My idea: Bob would buy her a new Windows laptop, for which she would swap out the Mac notebook. Bob was eager, and I proposed the idea to my wife a few weeks ago and, again, on June 5 after stumbling on a sale model at the local Sony Outlet store: VAIO VGN-AR825E, refurbished, for $699. I spent Friday night setting up the laptop, which included the Windows 7 RC upgrade. I wanted the computer to be ready for some real testing early Saturday. My biggest concern: Keyboard. The AR825 is a big notebook, weighing a little more than eight pounds. The leyboard is set pretty far back from the user and closer to the screen. My wife is a touch typest. If she couldn’t feel comfortable with the keyboard, I was ready to haul the VAIO back to the Sony Outlet for a refund. So far, the keyboard is acceptable, although she would prefer one closer to the user (The VAIO has a huge palm rest area). The AR825E is a compromise purchase. For someone else, the notebook’s size would be a problem. My Mrs. doesn’t travel with a computer; she’s no geek. That made the larger and heavier computer a reasonable choice for the price. It’s not the newest model, either. The AR825E has got a 2GHz procesor with a “Intel Centrino Inside” and not “Centrino 2” sticker. Nor is the VAIO an exceptional pretty computer. But the processor is plenty good enough for Windows Vista, the nVidia 8400M GT graphics chipset delivers excellent performance and the larger display lets my wife kick back and watch movies in the bedroom (our one TV is in the living room). Here’s something perplexing about the graphics, though. Under Vista, the AR825E’s Windows Experience Index rating was 4.7, with the graphics getting top 5.9. But following the Windows 7 RC upgrade, WEI dropped to 4.0 (4.1 after a retest). Gaming graphics re-rating pulled down the base score. So far, I have encountered two problems with the 17-inch Sony laptop. The first: No Bluetooth. What the hell kind of laptop doesn’t ship with Bluetooth. I hauled off to Fry’s Electronics and bought this surprisingly tiny Kengsington Bluetooth dongle. It barely juts out from the USB port. The other problem shocked: My first Bluescreen of Death on any computer running Windows 7 Beta or RC. Uh-oh, and this was while my wife watched a DVD movie. Whoops. But the BOD hasn’t reoccurred, and it is likely a DVD hardware problem. Yesterday, I saw that Sony has released, this year, new firmware and playback software for the DVD drive. If not for my confidence in Windows 7, I wouldn’t have even suggested that my wife give up her Mac. Her mood shifts from grumpy to satisfied while working with the new operating environment. Of course, I may have lousy timing. Apple’s developer conference convenes in about 10 minutes, where Snow Leopard sure to make a debut. Gulp. great to see that you wife was able to upgrade to a PC. I tried once to downgrade to a Mac but it was just too confusing an counter intuitive for me. I am sure it works well for some people but I use my computer to get things done the way I want them done and so a Mac is not for me. Funny to see that many of the things that demoed on Snow Leopard and iphone are a direct result of supporting Microsoft Exchange/Activesync. All the best and I like your tone but better on your blog than it was on Microsoft Watch. I use both my PC AND my Mac to ‘get things done the way I want them done.’ It might be a bit ‘tougher’ to customize my Mac the way I want it (being as the OS is locked down tighter), but the vast majority of people who buy Macs aren’t buying them to tweak the hell out of them or such. As for the Snow Leopard comment, it was funny a few years ago to see that many of the things that demoed on Vista…had been in use by OS X for years. I’m not a Mac fanboy OR a MS fanboy. I’m a computer fanboy, and each company has their merits. To suggest otherwise is silly. Great to see that you were able to find a refurbished laptop that fit your needs andbudget. 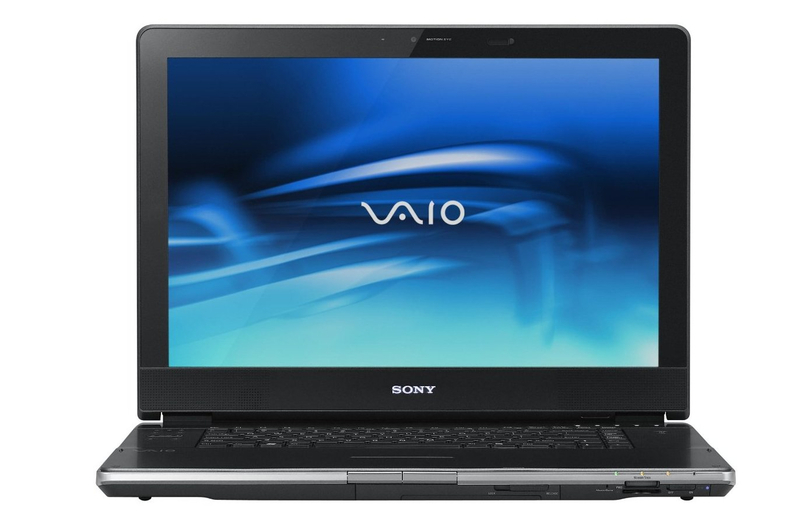 Refurbished laptops are one of the great values in the marketplace during tough economic times. Long term it will be interesting to see if Windows 7 will be enough like the Mac to have your wife forget about the sacrifice she made. On second thought I doubt being a woman she will forget. They never do! I’d love to know if she’s still happy. I have never owned a PC but I am deeply tempted by these 10 inch netbooks. I love the idea of carrying my work in my purse (and for only $400), and all I really do is run word, zotero and mail, but after a decade of mac-dom I’m scared of that much change. Is she still happy? Can a mac user adjust to windows?